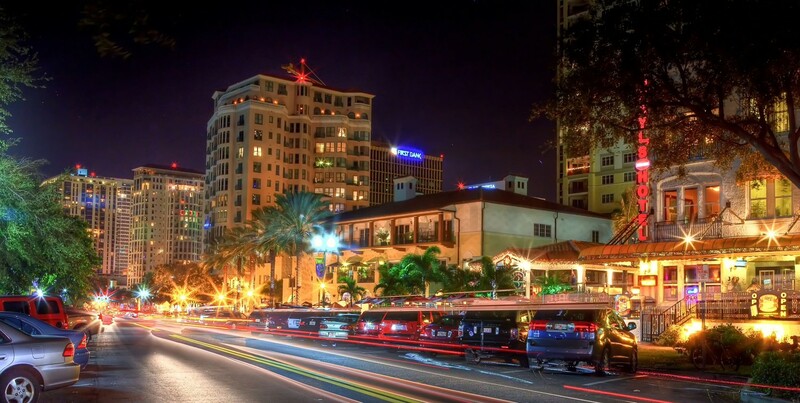 Deerfield Beach, Fla – An area in the Miami Metropolitan district, has been making headlines for more than just their beautiful beaches and warm weather. Among the abundance of every form of food restaurant available, Deerfield Beach just happens to be the home of the best burgers in the nation at Charm City Burger Company thanks to the owner – a retired five-star restaurant chef, Michael Saperstein. Recently after having a friend tell me he drove over four hundred miles for a burger, I decided I needed to give this place a try. After an almost five hour drive, we arrived to Charm City. There was little to no parking in the restaurant parking, so we had to park in a nearby grocery store parking lot and trek on foot to these luxurious burgers. After passing two dumpsters and seeing no sign of that says Charm City, we walked into a small, quaint building and figured we were there. I was surprised by how reasonably priced their food was. I ordered the Cowboy Style burger and a coconut Blue Bell milkshake with a side of beer battered onion rings. The total cost was a little over thirteen dollars for me, but well worth it for the large quantity and quality of the meal. There are no waiters or waitresses at Charm City because you serve yourself. They give you a number and call your number when your food is ready to be picked up from the order table. 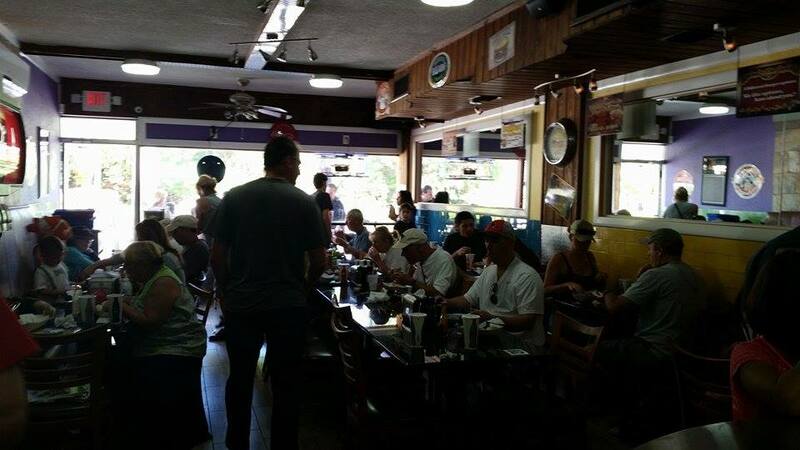 Then you find a place to sit among all the other costumers and eat your meal. My coconut milkshake was stirred by hand and to perfection with the soft cream being soothing for this hot Florida day. The plate was simple because there was no plate. My burger sat in a white cardboard box with a smaller box within it and next to the burger which held my onion rings and Charm City sauce. The plate wasn’t well executed, but the food made up for that. As I readied myself to take a bite of my burger, I couldn’t even fit the whole burger into my hand, let alone my mouth. I took a bite, anyway, and could immediately taste the aged pepper jack cheese and sautéed mushrooms. The juice and grilled onions were overwhelmingly satisfying with the bacon adding that hint of harshness to counteract the tenderness of the beef. The burger was cooked to a tender taste that added its own natural flavorings with every bite. The beer battered onion rings held their own status of greatness and were deep fried to literal perfection with the thousand island based Charm City sauce for dipping. I could understand why people have flocked all over the US for this genius of food. It was well worth the five hour drive because it was quality food for a great price. While there, I saw the countless awards on the walls that praised Charm City and I couldn’t help but think to myself and agree that they are well deserved. Charm City is five-star quality for a one-star price. This entry was posted in Entertainment, Print on December 3, 2014 by ckouretsos. Deerfield Beach, Fla – An area in the Miami Metropolitan district, has been making headlines for more than just their beautiful beaches and warm weather. 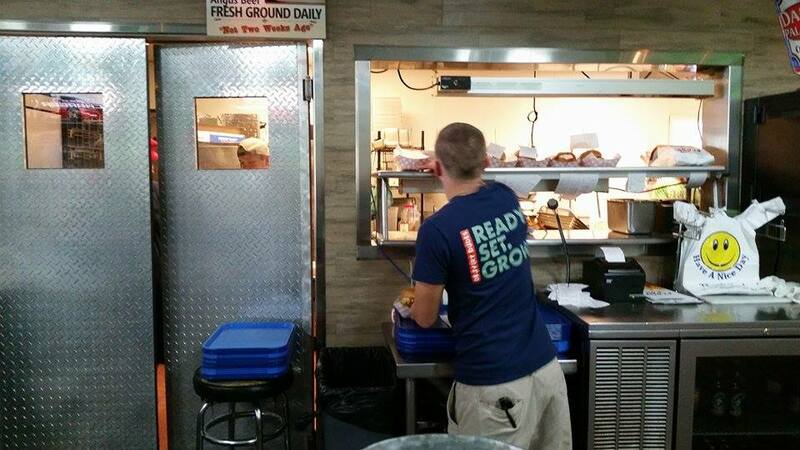 Among the abundance of every form of food restaurant available, Deerfield Beach just happens to be the home of the best burgers in the nation at Charm City Burger Company thanks to the owner – a retired five-star restaurant chef. We entered Charm City and went straight to the cash register and order table. The restaurant is small and looks moderately clean, just your average hole-in-the-wall place with an informal dress code. I was surprised by how reasonably priced their food was. 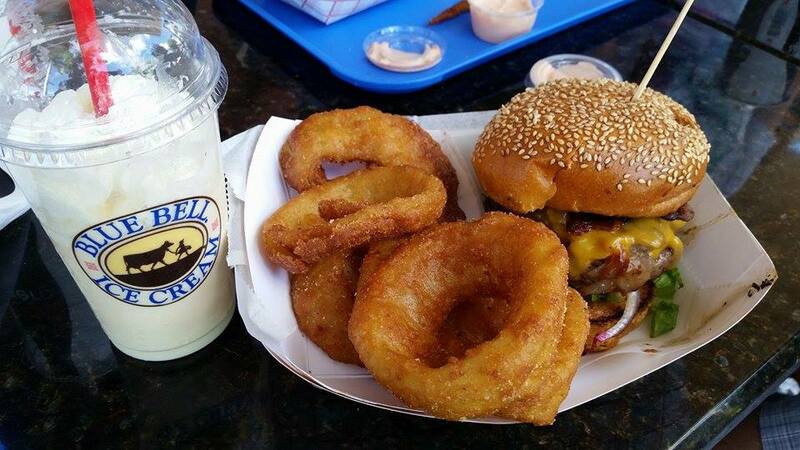 I ordered the Cowboy Style burger and a coconut Blue Bell milkshake with a side of beer battered onion rings. The total cost was a little over thirteen dollars but well worth it for the large quantity and quality of the meal. There are no waiters or waitresses at Charm City because you serve yourself. They give you a number and call your number when your food is ready to be picked up from the order table. Then you find a place to sit. My coconut milkshake was stirred by hand and to perfection with the soft cream being soothing for this hot Florida day. The plate was simple because there was no plate. My burger sat in a white cardboard box with a smaller box within it and next to the burger which held my onion rings and Charm City sauce. The plate wasn’t well executed, but the food made up for that. As I readied myself to take a bite of my burger, I couldn’t even fit the whole burger into my hand, let alone my mouth. I took a bite, anyway, and could immediately taste the aged pepper jack cheese and sauteed mushrooms. The juice and grilled onions were overwhelmingly satisfying with the bacon adding that hint of harshness to counteract the tenderness of the beef. The burger was cooked to a tender taste that added its own natural flavorings with every bite. It is understandable why people have flocked all over the US for this genius of food. Charm City serves five-star quality for a one-star price. This entry was posted in Entertainment, Web on December 3, 2014 by ckouretsos. Artists from around the world gather every November at Treasure Island Beach for the sand sculpture competition, Sanding Ovations. The competition also features multiple food and craft beer vendors. Although there is no theme for the sculptures this year, most of the artworks are abstract or surreal, featuring human forms. The sculptors use conventional artist tools like palette knives and spatulas. Instruments unique to the medium such as tubes for blowing away unwanted sand are also used. Artist Rusty Croft from California says that working with the fragile medium is all about seeing how far the sand will hold through experimentation. The first place sculpture is two skeletons embracing each other on the ground, reminiscent of the mysterious skeletons discovered several years ago in Siberia. All of the sculptures will remain intact for viewing for the next three weeks. This entry was posted in Broadcast, Community on December 2, 2014 by keltiowl. 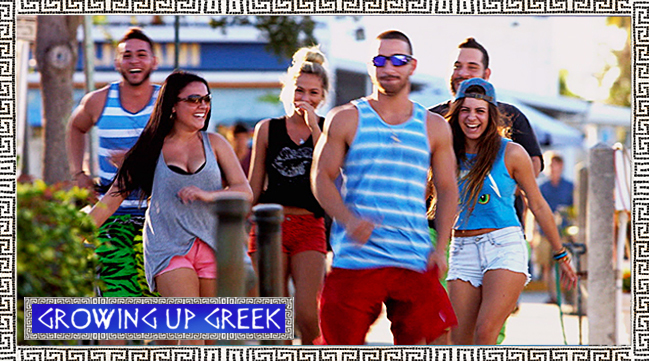 MTV will be airing a 30 minute special on December 3 called “Growing Up Greek.” It will highlight a group of young Greek people and how they are growing up in the heavily Greek influenced town of Tarpon Springs, Florida. The show’s 55-second “sneak peak” has come under fire by the Greek community. They’re calling it a “misrepresentation” of the culture and have raised a petition to have it cancelled. One of the stars of the show, Barbie Perkins, says she’s being positive for the show and is proud of it. This entry was posted in Broadcast, Entertainment on December 2, 2014 by ckouretsos. Tarpon Springs, Fla – MTV is airing a new reality show special about what it is like for Greek youth to grow up in the heavily Greek influenced Tarpon Springs, Florida. MTV will be airing a special called “Growing Up Greek” on December 3 that highlights a group of young Greek people and how they are growing up in Tarpon Springs, which is ranked the number one most heavily populated Greek community in the US. “We’re the Sponge capital of the world, we’re Epiphany city,” says Barbie Perkins, 34, owner of Yiannis, a featured restaurant on the MTV special. Perkins stars in the show along with her cousins in the half hour special produced by Shed Media. She says she is proud of her Greek heritage despite the family drama that will be aired for the world to see. However, members of the Greek community are not taking too kindly to the 55-second “sneak peak” that MTV leaked and have petitioned on Change.org to have the show cancelled or rewritten because it is a “gross misrepresentation of what it means to grow up Greek” and lessens to the community to the likes of what Jersey Shore did to the Italians. So far there are over 5000 signatures. Growing Up Greek airs as a 30 minute special on MTV, Wednesday, December 3 at 11 pm with an encore on Thursday, December 4 at 7 pm. This entry was posted in Entertainment, Web on December 2, 2014 by ckouretsos. 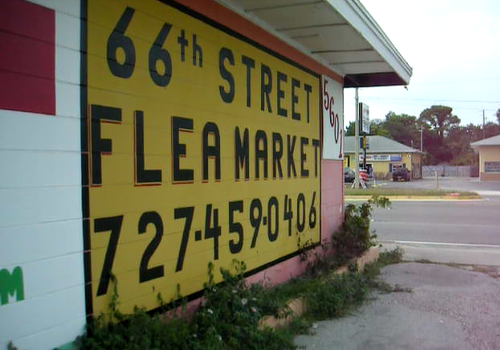 Local flea market vendors sometimes have more than one job, and at the Sixty Sixth Street Flea Market in St. Pete, Angelina Herrington is one of them. Having only been there four months, she has found it somewhat difficult to maintain her business. Despite this, she wants to open her own store one day, but says that it’s all up to the economy and how well things go at the market. However, the market can sometimes be difficult to find. She says that she’s been there for six years, and has just never noticed it. Herrington also says that she has found it difficult to advertise, because she is expected to do that on her own. She has made a Facebook page, though she says it doesn’t bring her many customers. So for now, she’s just trying to make the best out of what she has. This entry was posted in Broadcast, Community on December 2, 2014 by norcini. For many vendors at the 66th Street Flea Market, it is not their only job. Angelina Herrington is one of them. For the past four months, she has been a permanent vendor at the market. Her business, Angie’s Place, is located on the north side of the building. 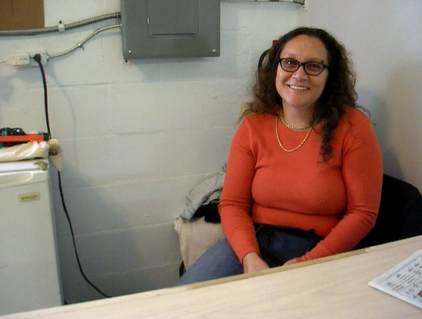 She’s had her share of hardships, and dreams of opening her own business. Herrington’s other job is being a cashier-stocker, and views becoming a vendor full time as a “maybe”. It’s all down to the economy, and how well she does at the market. But as she has been finding out, is a lot more difficult than she expected. Although she’s not new to this business, she says that she wasn’t prepared for the responsibility. Herrington thought that she would just open the store, and everything would essentially run itself. She just hopes that in the end, it’ll pay off. Herrington’s husband and daughter occasionally help her out. They come in a few days a week to help her with inventory. The products she gets are from yard sales and from people bringing in what they have. She doesn’t travel more than an hour away to get any of her merchandise. The money she makes goes entirely to the rent of her space at the market. Rent is $400 a month, and she says she is just trying to get by. She’s also found it difficult to get the word out about her business. She has a Facebook page, but she doesn’t do much else online. The customers she does have are there mostly through word of mouth. Herrington always gives them her card and encourages them to spread the word. Herrington has reasons for why business isn’t great at that market. She says that other flea markets in the area get a lot of foot traffic. But this market does not, she goes on to say. Another reason she gives is that the market is just difficult to find. “I’ve been here for six years, and I just never noticed it. The sign for the market is too high for drivers to notice and the building kind of blends in.” She also pointed out that her son’s girlfriend, who had lived there all her life, passed the building twice before finding it. Herrington’s experience at the market hasn’t always been the easiest. Despite not being new to this business, she’s come across difficulties. The lack of advertising and location has been her biggest problems. All Herrington wants to do is to open her own business, hopefully sooner rather than later. This entry was posted in Community, Web on December 2, 2014 by norcini.